Heidi Lewis Coleman is currently exhibiting her Acrylic & Cut Paper piece, ALAGAËSIA. in the Ridgefield Guild of Artists’ 13th Annual Festive Home. This wonderful holiday tradition celebrates the theme, HOLIDAY BLUES! Get your holiday shopping done early and enjoy a beautiful assortment of arts, crafts and decorations. Show dates: 11/18 - 12/23. 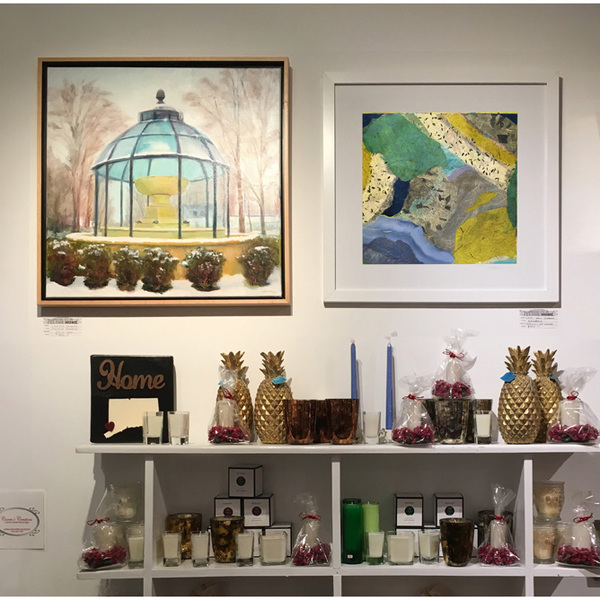 The Ridgefield Guild is located at 34 Halpin Lane in Ridgefield, Connecticut.